O God, whose mighty Son was born in Bethlehem those days long ago, lead us to that same poor place, where Mary laid her tiny Child. And as we look on in wonder and praise, make us welcome him in all new life, see him in the poor, and care for his handiwork the earth, the sky and the sea. O God, bless us again in your great love. We pray for this through Christ our Lord. 2 Corinthians 8:9 (NIV) For you know the grace of our Lord Jesus Christ, that though he was rich, yet for your sake he became poor, so that you through his poverty might become rich. In reality, the story of Jesus is not a rags-to-riches story; it is a riches-to-rags story. It is a story of leaving the glory of Heaven for this planet. Jesus could have been born in the most elegant mansion on the ritziest boulevard in Rome. He could have had aristocratic parents who boasted of their pedigree. He could have had the finest clothes from the most exclusive shops. He could have had legions of angels as an army of servants to respond to His every whim. But He had none of that. Instead, Jesus humbled Himself. We read in 2 Corinthians 8:9, “Though he was rich, yet for your sake he became poor, so that you through his poverty might become rich.” God came into our world. He was like any other baby who needed to be cradled, needed to be nurtured, and needed to be protected. The Creator of the universe was born in a stable in Bethlehem. Like everything else in the Christmas story, we have romanticized this aspect of it. I think, in many ways, we miss its raw, powerful meaning. This stable or barn (or maybe even cave) where Christ was born was cold and damp. It also would have smelled. God incarnate was born on the dirt floor of a filthy stable. Our Savior came not as a monarch draped in gold and silk, but as a baby wrapped in rags. Jesus went from being a sovereign to a servant. He went from the glory of God to a stable filled with animals. It has been said that history swings on the hinge of the door of a stable in Bethlehem. Think about what Jesus left to come to us. Jesus took His place in a manger so that we might have a home in Heaven. O God, whose mighty Son was born in Bethlehem those days long ago, lead us to that same poor place, where Mary laid her tiny Child. And as we look on in wonder and praise, make us welcome him in all new life, see him in the poor, and care for his handiwork the earth, the sky and the sea. O God, bless us again in your great love. We pray for this through Christ our Lord. Amen. Think about what Jesus left to come to us. Un día como hoy, esta servidora llegó a este mundo. Creo que por eso disfruto mucho de estas temporadas navideñas. Aún recuerdo mi niñez sencilla, pero muy divertida, en mi natal Colombia. Había fuegos artificiales y disfrutaba de la compañía de mis amistades. En esa época, como buena católica, celebraba la conocida «Novena de Aguinaldos» con villancicos, el árbol de Navidad y, sin faltar, el pesebre, o como se conoce en algunos países, el nacimiento. A pesar de esta hermosa época, desconocía el verdadero significado de la Navidad, pues para muchos solo era una oportunidad de vacaciones, mientras que para otros era enfrascarse en las decoraciones navideñas. 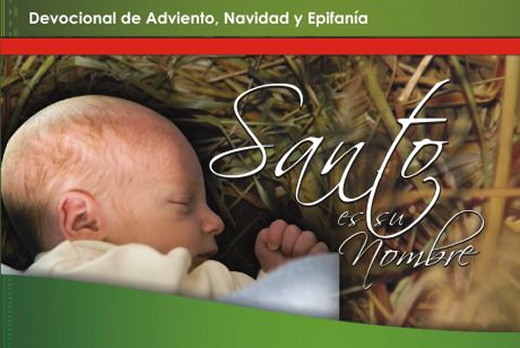 Así que un día, hace muchos años, comprendí el verdadero significado de la «Navidad». La Navidad es hermosa y sé que en esos días surge en nuestro corazón una necesidad por la familia y un anhelo de comprarles regalos a los niños que los esperan con tanta ilusión. A la hora de analizar esta hermosa estación del año, tú y yo debemos entender que Jesús es la verdadera razón de la Navidad. 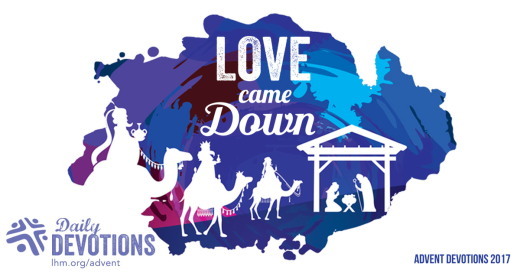 Cuando le abrimos nuestro corazón, nos convertimos en el pesebre donde nace el Salvador. Por lo tanto, debemos darle gracias a Dios por su Hijo, Jesús, que vino a este mundo para darnos el regalo de la vida eterna. Si aún no has tenido ese encuentro personal con Jesucristo, ¿por qué no permites que ese corazoncito bello que tienes se convierta hoy en un pesebre donde nacerá tu Salvador? De ese modo, ¡tú también nacerás de nuevo! Hear this word that I take up over you in lamentation, O house of Israel: Fallen, no more to rise, is maiden Israel; forsaken on her land, with no one to raise her up. For thus says the Lord GOD: The city that marched out a thousand shall have a hundred left, and that which marched out a hundred shall have ten left. For thus says the LORD to the house of Israel: Seek me and live; but do not seek Bethel, and do not enter into Gilgal or cross over to Beer-sheba; for Gilgal shall surely go into exile, and Bethel shall come to nothing. Seek the LORD and live, or he will break out against the house of Joseph like fire, and it will devour Bethel, with no one to quench it. Ah, you that turn justice to wormwood, and bring righteousness to the ground! The one who made the Pleiades and Orion, and turns deep darkness into the morning, and darkens the day into night, who calls for the waters of the sea, and pours them out on the surface of the earth, the LORD is his name, who makes destruction flash out against the strong, so that destruction comes upon the fortress. They hate the one who reproves in the gate, and they abhor the one who speaks the truth. Therefore because you trample on the poor and take from them levies of grain, you have built houses of hewn stone, but you shall not live in them; you have planted pleasant vineyards, but you shall not drink their wine. For I know how many are your transgressions, and how great are your sins-- you who afflict the righteous, who take a bribe, and push aside the needy in the gate. Therefore the prudent will keep silent in such a time; for it is an evil time. Seek good and not evil, that you may live; and so the LORD, the God of hosts, will be with you, just as you have said. Hate evil and love good, and establish justice in the gate; it may be that the LORD, the God of hosts, will be gracious to the remnant of Joseph. Therefore thus says the LORD, the God of hosts, the Lord: In all the squares there shall be wailing; and in all the streets they shall say, "Alas! alas!" They shall call the farmers to mourning, and those skilled in lamentation, to wailing; in all the vineyards there shall be wailing, for I will pass through the midst of you, says the LORD. 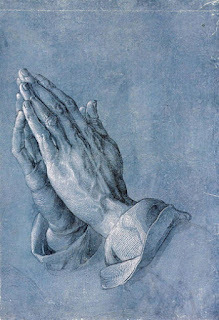 Jude, a servant of Jesus Christ and brother of James, To those who are called, who are beloved in God the Father and kept safe for Jesus Christ: May mercy, peace, and love be yours in abundance. Beloved, while eagerly preparing to write to you about the salvation we share, I find it necessary to write and appeal to you to contend for the faith that was once for all entrusted to the saints. For certain intruders have stolen in among you, people who long ago were designated for this condemnation as ungodly, who pervert the grace of our God into licentiousness and deny our only Master and Lord, Jesus Christ. Now I desire to remind you, though you are fully informed, that the Lord, who once for all saved a people out of the land of Egypt, afterward destroyed those who did not believe. And the angels who did not keep their own position, but left their proper dwelling, he has kept in eternal chains in deepest darkness for the judgment of the great Day. Likewise, Sodom and Gomorrah and the surrounding cities, which, in the same manner as they, indulged in sexual immorality and pursued unnatural lust, serve as an example by undergoing a punishment of eternal fire. Yet in the same way these dreamers also defile the flesh, reject authority, and slander the glorious ones. But when the archangel Michael contended with the devil and disputed about the body of Moses, he did not dare to bring a condemnation of slander against him, but said, "The Lord rebuke you!" But these people slander whatever they do not understand, and they are destroyed by those things that, like irrational animals, they know by instinct. Woe to them! For they go the way of Cain, and abandon themselves to Balaam's error for the sake of gain, and perish in Korah's rebellion. These are blemishes on your love-feasts, while they feast with you without fear, feeding themselves. They are waterless clouds carried along by the winds; autumn trees without fruit, twice dead, uprooted; wild waves of the sea, casting up the foam of their own shame; wandering stars, for whom the deepest darkness has been reserved forever. It was also about these that Enoch, in the seventh generation from Adam, prophesied, saying, "See, the Lord is coming with ten thousands of his holy ones, to execute judgment on all, and to convict everyone of all the deeds of ungodliness that they have committed in such an ungodly way, and of all the harsh things that ungodly sinners have spoken against him." These are grumblers and malcontents; they indulge their own lusts; they are bombastic in speech, flattering people to their own advantage. 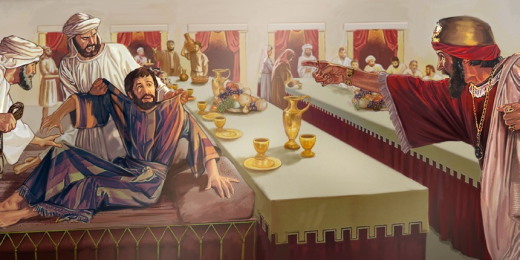 Once more Jesus spoke to them in parables, saying: "The kingdom of heaven may be compared to a king who gave a wedding banquet for his son. He sent his slaves to call those who had been invited to the wedding banquet, but they would not come. Again he sent other slaves, saying, 'Tell those who have been invited: Look, I have prepared my dinner, my oxen and my fat calves have been slaughtered, and everything is ready; come to the wedding banquet.' But they made light of it and went away, one to his farm, another to his business, while the rest seized his slaves, mistreated them, and killed them. The king was enraged. He sent his troops, destroyed those murderers, and burned their city. Then he said to his slaves, 'The wedding is ready, but those invited were not worthy. Go therefore into the main streets, and invite everyone you find to the wedding banquet.' Those slaves went out into the streets and gathered all whom they found, both good and bad; so the wedding hall was filled with guests. "But when the king came in to see the guests, he noticed a man there who was not wearing a wedding robe, and he said to him, 'Friend, how did you get in here without a wedding robe?' And he was speechless. Then the king said to the attendants, 'Bind him hand and foot, and throw him into the outer darkness, where there will be weeping and gnashing of teeth.' For many are called, but few are chosen." LHM Advent Devotion - December 8, 2017 "THE WORD OF GOD"
TEXT: And Zechariah said to the angel, "How shall I know this? For I am an old man, and my wife is advanced in years." And the angel answered him, "I am Gabriel. I stand in the presence of God, and I was sent to speak to you and to bring you this good news. And behold, you will be silent and unable to speak until the day that these things take place, because you did not believe my words, which will be fulfilled in their time." I always feel sorry for Zechariah. Being mute for nine months is no mild punishment for a priest! The poor man had to carry out his responsibilities at the temple in Jerusalem without any voice at all-no prayers, no singing, no teaching, not even able to bless the people. And when he got home, he had to explain the whole thing to Elizabeth-without speaking. That must have been interesting. Zechariah refused to believe the angel's words, and so his own words were taken away. as He spoke by the mouth of His holy prophets from of old." God was sending His own Son, His own Word, into the world to be our Savior. Jesus is called the Word of God for good reason-He is the One who makes God known to us, who embodies God among us, acting to save us. How do we know a man's thoughts? He communicates them to us through words. How do we know God's thoughts toward us? He has made them known through Jesus, His Word. Because Jesus is truly man, we can understand Him. Because He is truly God, we know the Father's heart toward us. THE PRAYER: O Word of God, thank You for coming to us and making Your home among us. Amen. Zacarías le preguntó al ángel: "¿Y cómo voy a saber que esto será así? ¡Yo estoy ya muy viejo, y mi esposa es de edad avanzada!" El ángel le respondió: "Yo soy Gabriel, y estoy en presencia de Dios. He sido enviado a hablar contigo para comunicarte estas buenas noticias. Pero como no has creído mis palabras, las cuales se cumplirán a su debido tiempo, ahora vas a quedarte mudo, y no podrás hablar hasta el día en que esto suceda". Zacarías me da lástima. ¡Estar mudo durante nueve meses no es un castigo ligero para un sacerdote! Habrá tenido que llevar a cabo sus tareas en el templo en Jerusalén sin poder orar, cantar, enseñar y bendecir a las personas. Y cuando regresaba a su casa, tenía que contarle a Elisabet todo lo que había hecho, sin poder hablar. Debe haber sido interesante. Zacarías se negó a creer las palabras del ángel y por ello Dios le quitó sus palabras. Dios estaba enviando a su propio Hijo, su propia Palabra, al mundo para ser nuestro Salvador. Jesús es la Palabra de Dios porque él nos da a conocer a Dios, él es Dios con nosotros, entre nosotros, actuando para salvarnos. ¿Cómo sabemos lo que otra persona piensa? A través de sus palabras. ¿Cómo sabemos lo que Dios piensa? A través de Jesús, su Palabra. Como Jesús es verdadero hombre, podemos comprenderlo. Y como es verdadero Dios, podemos conocer el corazón de Dios. ORACIÓN: Palabra de Dios, te damos gracias por haber venido a habitar entre nosotros. Amén.